A gallery of the Wurmslayer armor players can get from defeating the Great Jungle Wurm in Bloodtide Coast. 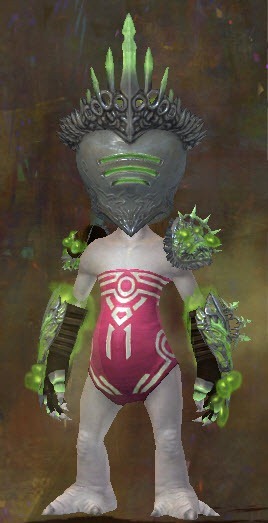 These armor are ascended but only available for helm. gloves and shoulders. 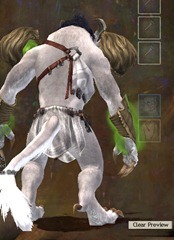 For a MMO which endgame is based on cosmetic armor and aesthetic improvements, Anet is making uglier and uglier armor. I dont get it. Why do people keep talking about an aesthetic endgame when ascended armor and weaponry are hard to obtain and give you higher stats than exotic? There is your endgame: ascension. Pfft, stats. I just want to look pretty. that’s not a good reason to be making shotty cosmetic designs. Stats are the main impact on your combat, yes. 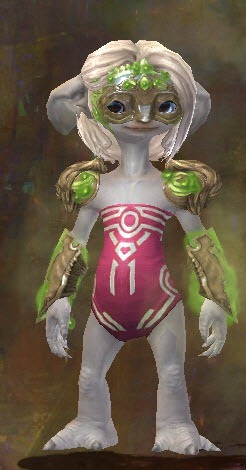 But showing off a nice looking armour set or weapon impacts how everyone sees you, and your achievements. If you have 30 laurels and 350g you beat the game? Almost right. I think in total, for two smiths of weapon crafts and one armor smith, it’s a bit higher. You can compare this investment to the endgames of other MMOs; where WoW might have dungeon marks, and not simply outright buying the great armor via gold, GW2 has the creation of vision crystals. 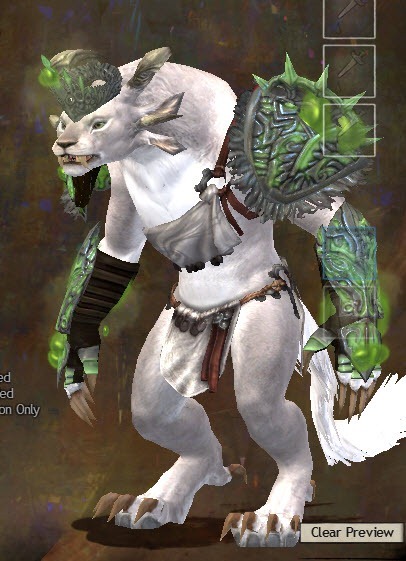 As for aesthetics, it’s a small bonus that GW2’s graphics and design are good enough for there to even be an “aesthetic end game”. 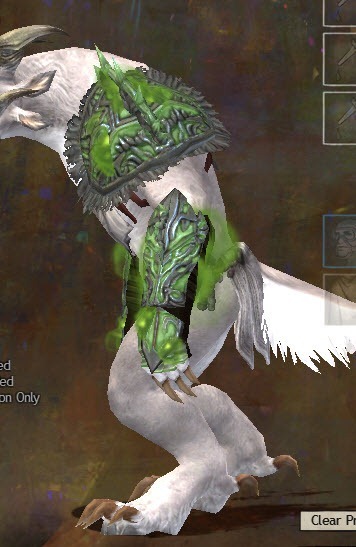 the amount of gold and efford required to make 1 legendary wpn is equal to having full asc on at least 3-4 chars, and all it offers is a really cool looking skin and effect, its clear wat anet think is worth more. hmm no, asc is not the end game, its jus extra content anet invented in order to buy more time, and the stat hardly make a difference. The one of the most important endgame for gw and gw2 has always been cosmetics, there is no secret abt it, ppl grind for legendary or other cool looking skins way more than they grind for asc, if thts even considered a real grind at all. I saw a noticeable boost in damage with my upgrade from exotic axe to ascended axe. The boost would be even higher for two-handed weapons. They’re not massive boosts, but they’re definitely worth it if you have the gold, and that’s what a proper endgame should look like. Not a gear treadmill. the boost is 10%, sure its something but it wont make a huge difference anywhere, I hav full asc everything and my avarage 100b is stil in the 35-49k range, I was doing similar with exo too. Whether its worth the gold or not is also debatable, from rare to exo u spend a few extra gold and get around 15% dmg boost, from exo to asc u spend around 300g per piece and get 10% boost, I wouldnt call tht worth it unless u hav nothing else to get like myself. The amount of time it takes to kill any dungeon boss is stil roughly the same, the difference is really minimal. 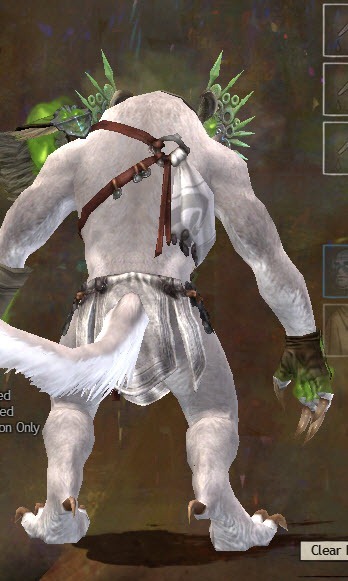 And maybe u are new to guild wars, but it has never been abt stat grinding, so the “should look like” in this game has always been abt cosmetic, tht is one of the unique selling point of this franchise, if its not wat u want then u really playing the wrong game. An asc wpn cost around 300g to make more or less, Infinite Light on the other hand cost 800g and only offer exo stat, tht already indicate skin is worth more than stat, if asc is end game then this game should b dead for alot of ppl long ago. 300g for ascended weapon? R U on drugs? I made my wpns the first week it came out, ofc I cant remember the exact cost, Im not a geek and do hav a life outside this game. With that said Im pretty sure someone did the math and if u added all the matts up it was around 300g at the time tht person did the math. The 300g is more like 200g, and you can use the crafting disciplines you spent the money on for other weapons. In my case, it was about 210g for weaponsmithing to give me an axe. My dagger will be much less, but Dragonite ore — something you have to play for — is the killer here. 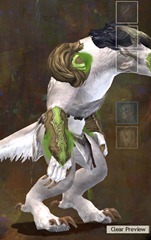 I have the Ghostly Hero title in GW2, equating to 35 HoM points. I’m not saying (as you’ll read below) that ascended is the only endgame; I do think it’s the strongest motivator, but having spent an estimated 50g on my own appearance, I appreciate that aspect as well. Ive been playing this game since launch, the only reason Im stil playing is becuz of legendary wpns which hav great looking skins. The rest is really not worthy of end game content. Asc wpn and armor I got in a week for my main char, and when I decided to run dungeons with ele instead of my main war, I got her asc wpn and armor in one day, its really a joke if thts part of end game content. On the other hand, each legenday wpn at least took me 1-2 month to get, and like I said tht is one of the only items stil interesting in this game beside speedrun dungeons for me. Dono where u hang out, but last I checked, tons of ppl hav legendary in LA, and everyone I know hav at least 1 and goes up to 7, Im not saying everyone hav it but saying most don hav it is not correct. That 6 month estimate was a fail by anet, they said that before launch but within 1-2 month ppl got legendary and were running out of things to do, which is why anet bought out asc and frac in the first place, which by the way they promised not to do before launch, but they didnt bring it out as end game content, it was merely there to buy time until they figure out the real solution, basically if u stil think it takes 6 month for legendary then u jus dono the game well enough. 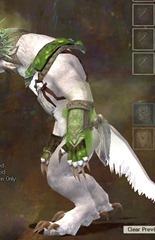 End game content suppose to b something that is super hard to get, otherwise its not called end game, so as seemingly impossible as legendaries are to the new comers, that is the end game in gw2, u cant say its not end game becuz u think its impossible to get, no one said end game is for every single player. Jus think abt it this way, now that u got ur asc stuff, if u had another 2k gold wat wil u buy? and that is the end game content. 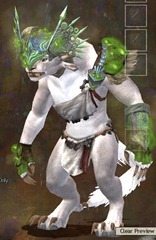 And no making more legendaries is not “making its own” end game content, how can it b making my own when its designed by anet. Making my own end game contents are things like solo lupi, solo or 2 man TA, AC, CM, Fotm etc. Thats wat really bored players do these days. I’m not saying legendaries are not endgame. They clearly are, and as I said: they are a small part of it. The largest being ascension in its varying forms, (laurels, gold) followed by “looking cool”. The rest is up to the player. In my case, I’m finishing my ascended dagger and getting the endless furniture tonic. You originally said ascended is “not endgame”, when they’re more accessible and common than legendaries. You can see hard gold costs here, not including whatever time it takes to get the gifts: http://calculator.bravevesperia.com/ even the cheapest legendaries cost more than two ascended weapons on different crafting disciplines. 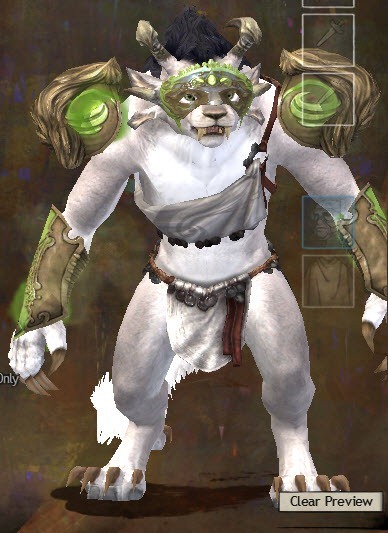 You can know as many people as you like, and you can look at all the Lion’s Arch AFKs you want: the fact is the majority of people do not own or even try for legendaries, preferring ascended, which give a decent boost. 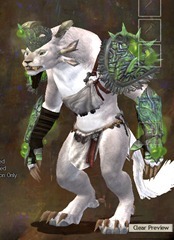 GW2’s endgame is a mix of aesthetics and ascension, with legendaries and various other goals (my furniture tonic, WvW rank, mini obsession) being a small portion that players like you happen to achieve rather swiftly. Any chance you upload the annelid rifle skin? Its hard to get new armor/weapon stats, and harder to get nice skins, no, nice ascended skins doesn’t exist…just use transmutation stones AGAIN, buyed with gems, to put old armor/weapon skins…AGAIN. This game sink update after update..nice job ANET ! I always wanted to look like a funky dripping cactus weed. Just what I always wanted, to walk around looking like I just crawled out of the LA sewers. What’s with the charr heavy armor helm? Why is it floating up off his face? More reskined stuff. Honestly, is it that their creativity has stooped to a level of lowness that has to resort to this lazy endeavor? This is not just once did they do this. So disrespectful to players.